You all viewing this entry should know exactly what is in the picture. Widely known as the “Evil Eye”. The Evil Eye is a global safe keep for many people. In Spanish we call it Mal de Ojo. Across campus here at FIU you don’t have to go far to see someone wearing one. Matter of fact, the one shown in this picture is mine. It is believe that they are supposed to ward off misfortune or even injury that may be casted on one from a fowl look someone has given. 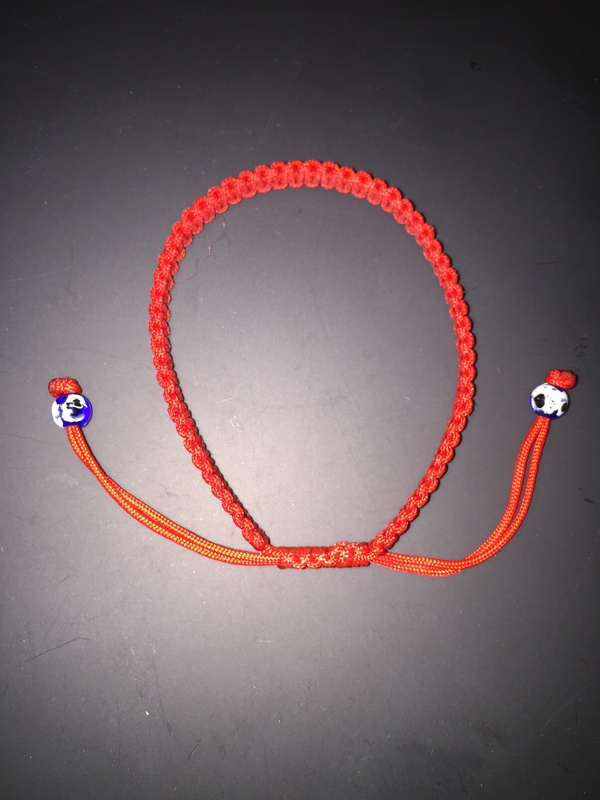 The yes that are in the bracelet are supposed to be constantly warding off these bad vibes that a person may give you throughout your day and want to wish you harm. The Evil Eye is a big belief in other countries such as Asia, Turkey, many latin american countries, and Greece. I personally believe in it, or at least I like to believe in it. It kind of borders the edge of religion and self-belief yet I think it gives us a sense of hope and makes us buy in that this bracelet is possible to ward off misconduct. I also believe this is why these bracelets are such a hit with tourist because it can easily be believed. And of course they are so stylish!